• Abuse of dominance in the airport sector, by Gustavo de Paula e Oliveira* [paper in English]. • A model of consumer choice with vertically differentiated goods: reassessing the traditional demand theory and an application to tourism, by Cristina Barbot* [paper in English]. • The exploitation of public Brazilian airports under private regime: a review of government leased and permit grants, by Fabiana Peixoto de Mello, Dorieldo Luiz dos Prazeres* [paper in English]. • The entry of the chinese light commercial vehicles: a threat to the hegemony of the dominant companies?, by Thiago Vinicius Alves Ueda* [paper in Portuguese]. • The environmental efficiency of road and rail freight modes in the world, by Pedrita Dantas Gabriele*, Luana Carneiro Brandão, Fernanda Tavares Treinta, João Carlos C. B. Soares de Mello, Raquel Carvalhal [paper in Portuguese]. 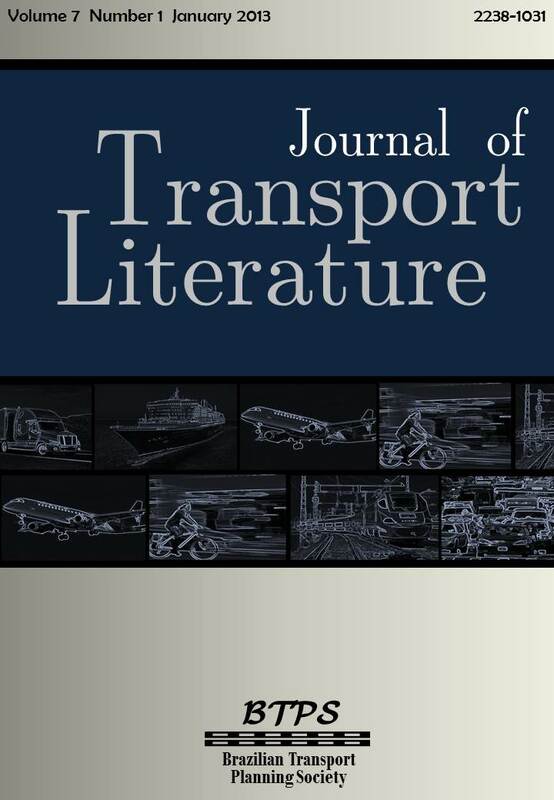 • Transport infrastructure financing, by Alessandro V. M. Oliveira, Frederico Araujo Turolla* [paper in Portuguese]. • Demand of Manaus airport and its influence on the tourism sector in the region, by Viviane Adriano Falcão* [paper in Portuguese]. • Capacity expansion goal-setting for the Marabá airport based on a study on airport demand, by Renan Rios Diniz* [paper in Portuguese]. • Measurement of externalities of freight transport in Brazil, by Newton de Castro* [paper in Portuguese]. • Care to the population: urban bus in the city of São Paulo, by Carlos Paiva* [paper in Portuguese]. • The important role of maritime law and regulation of transportation and ports to the development of logistics, by Wesley O. Collyer* [paper in Portuguese]. • Analysis of air transportation competitiveness based on consumer evaluation of service quality , by Marcus Vinícius Nascimento* [paper in Portuguese].